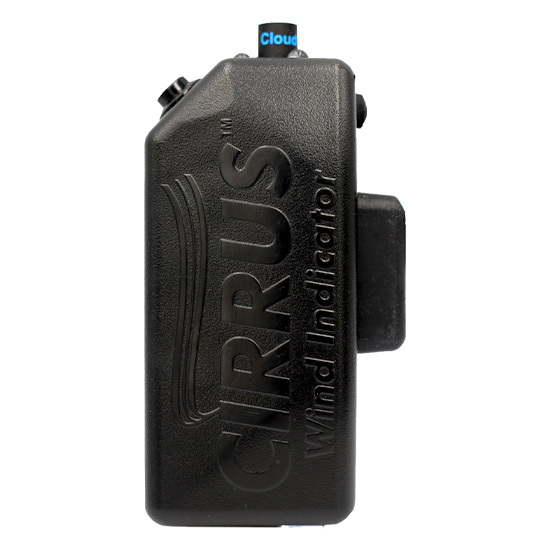 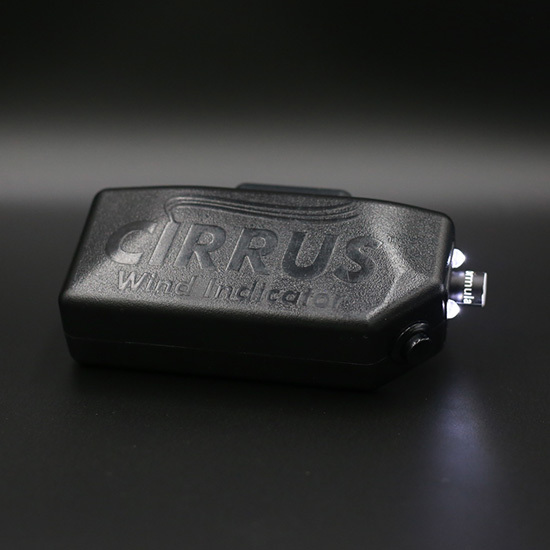 CIRRUS has changed the wind detection market for the first time in decades. 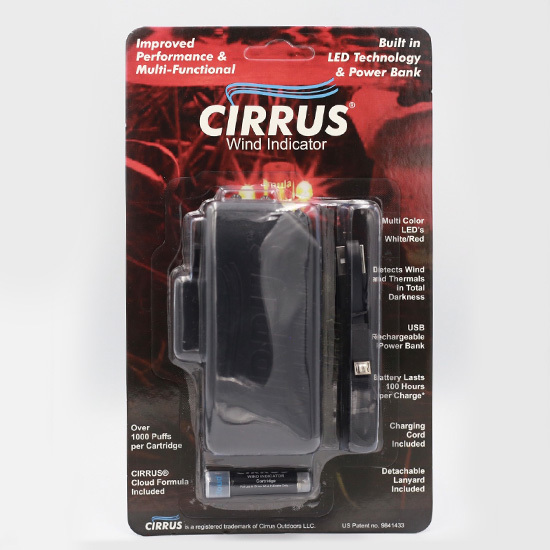 The patent pending design allows the user to puff a vapor-like cloud into the air and detect the slightest wind or thermal currents. 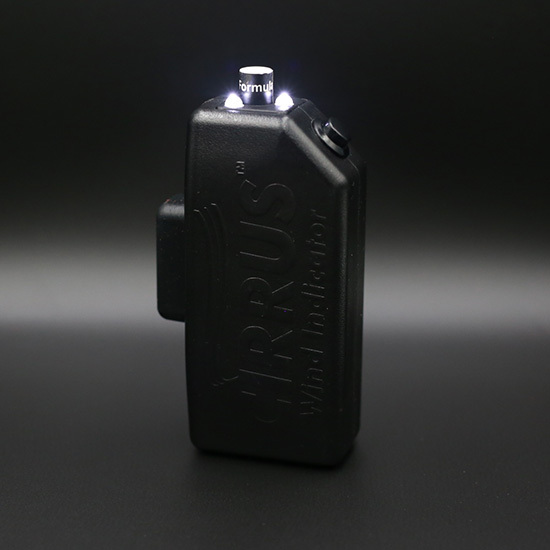 The benefit is thousands of puffs per cartridge, USB rechargeable, lightweight and minimal user movement. 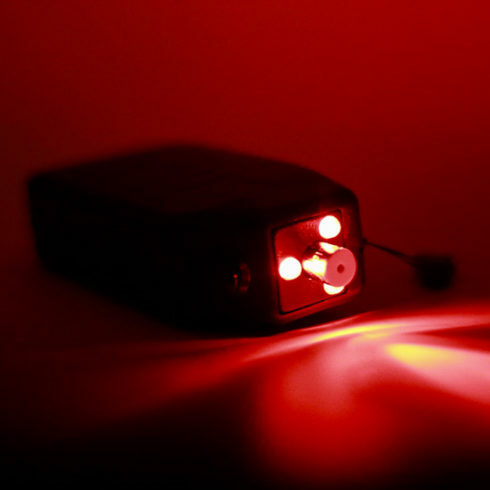 Changes for the 2018 model include red and white LEDs to see wind and thermals in total darkness and a built-in portable charging bank. 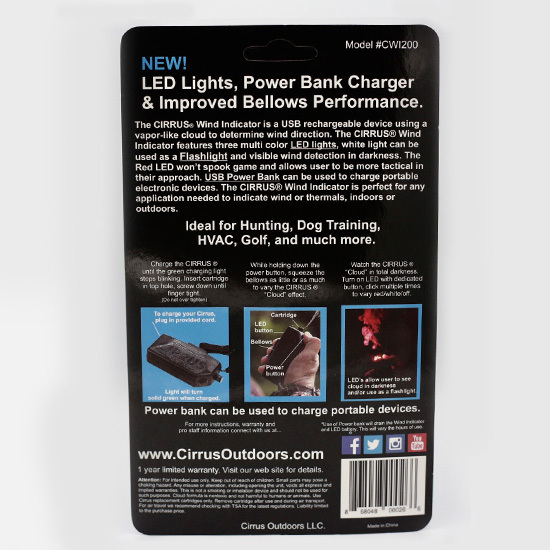 Excellent for Hunting, Golf, Shooting Sports, Dog Training and much more.